Last month, at the Wrigley Mansion in Pasadena, we held our annual Caucus with the Tournament of Roses, the Club’s Board of Directors and other club members making it a memorable evening. Vice President Marc Goldsmith served as our capable MC and drew plenty of laughs throughout the evening and each of our directors delivered their State of the University updates. We were all informed about campus updates from throughout the Big Ten. And for the first time we officially welcomed the Nebraska Cornhuskers into the Club. As you know, having the opportunity to attend the Caucus at the Wrigley Mansion is only one of the benefits of membership in the Big Ten Club of Southern California. Perhaps the biggest member perk is the chance to order tickets to the annual Rose Bowl game, often the hottest ticket in town. But to take advantage of these special benefits you need to be a dues paying member as of September 30, 2011! All new and renewing members that join by September 30 will be eligible to purchase Rose Bowl tickets. We are proud that, for at least the last ten years, every member of the club wanting tickets has been able to purchase at least two. This is just one of the many great reasons to join the Big Ten Club. To renew online today, just visit www.bigtenclub.com/members-signup. Or bring your dues check and Join us at our rockin’ Happy Hour on Friday, September 30 at Rush Street in Culver City. When: Friday, September 30, 5:00 p.m. - 8:00 p.m.
Did I forget to mention that every membership allows you to join our Pick-The-Finish contest with one winner each year receiving Two FREE Rose Bowl tickets? So make sure to renew by September 30 and I look forward to seeing you soon at one of our upcoming events. On Wisconsin and Go Big Ten! It’s that special time of year when the magic of college football graces us with its presence. For the next four months you will have more sports choices than baseball or baseball. It’s around this time that we California Big Ten supporters start hoping (Northwestern), assuming (Ohio State), wishing (Michigan State) and knowing (Wisconsin) that our team will be playing in Pasadena on New Years. So sign up now and become a member of the Big Ten Club of Southern California so you might have a chance of joining your favorite team at the Rose Bowl. Along the way you will be able to participate in some great events, charities and interact with the vast network of Big Ten Alumni here in Southern California. In RichRod we trusted and had our hearts broke. The defense was busted. Our faith's now with Hoke. The Big House has lights. The Offense has Borges. Check it out at Sangria. Hermosa is gorgeous. They've got 10 new plasmas, new sound, dollar beer. The Big 10 added a team and a Championship Game. "Sweatervest" left cuz Terrell got caught cheating. Now Sparty got cocky. Lil bro needs a beating. South Santa Monica can't wait to get cracking. New Menu. New Drinks. Finally sent 'Bama packing. These guys stepped their game up. They're now 3D status. If we EVER make a field goal it'll be coming right at us! Our heroes start conquering Saturday at noon. Hail! Hail! to Michigan. It can't come too soon. Put your blue and your maize on. You know where to meet. Get your gameday on early if you want a good seat. A special alumni-only career fair is coming to Los Angeles. Minnesota is participating with several other schools. Friends and families are welcome at this all-ages day of service! 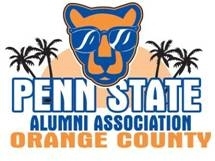 Give a little of your time for a great cause and stick around to grab a bite with your fellow alums. More info at Heal the Bay and on our Events page. Ticket Locations: Seats are in Section 207. Good cheer, Chicago beer, and more! A reminder that we will be holding a golf scramble and game watching event on October 1st against Notre Dame. The price of tickets are $65 (the Sept 12th deadline is getting closer), $80 regular, or $25 for those that wish to attend but will not be golfing. 12:00pm - 04:00pm = Golf! Join the Purdue Alumni team for the Sept. 25th Susan G. Komen Race for the Cure 5K run/walk event in Newport Beach (9:45am Co-Ed 5K Race). Visit our team site @ http://www.komenoc.org/race/purduealumni to join or donate! Closer to the date, I will email the team with details and information for where to meet before the race. 9/10 - UW vs. Oregon St.
· Saturday, Sept 17th: Kick-off 12:30 PM PDT; Wisconsin Badgers vs. Northern Illinois at Soldier Field in Chicago! Details pending. · Tuesday, Sept. 20th: OC Badgers Board Meeting 6:30 PM at IHOP (18542 MacArthur Boulevard, Irvine; across from John Wayne Airport). Poker game immediately after in parking lot. · Saturday, Sept. 24th: Walk This Way for Steve - Light the Night Walk at Angels Stadium Contact Julie Karg for all event details at julie.karg@yahoo.com! · September through November: Love talking about your UW-Madison experience? Come volunteer at local College Fairs! · 2011 SAVE-THE-DATE: Sept. 25th Race for the Cure!